It is really the first recipe I make which is praised and accredited by my entire family… Even though I am very emotional and moved, I will pass on the introductory speech today and start talking about the recipe right away! My mom, who is the radical advocate of healthy eating, ate the whole cupcake—still unbelievable! Boil one cup of water and soak in the pistachio nuts for a minute, peel and wash them in water. Blend the Pistachio nuts with the whipping cream. 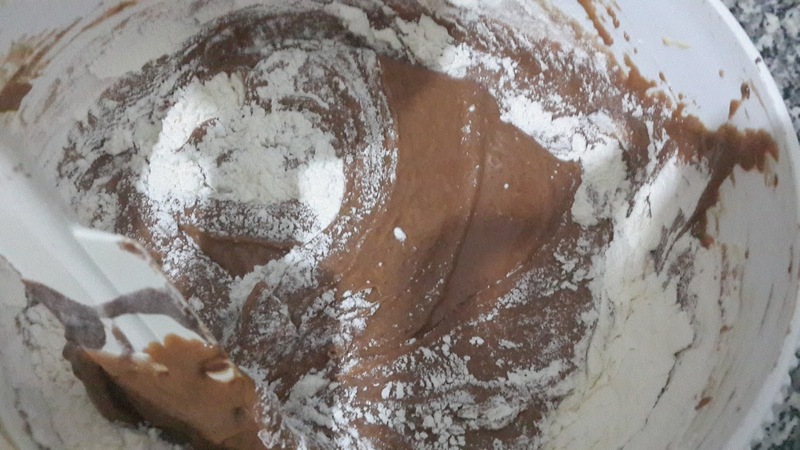 When it has become a homogeneous mixture, place it in the electric mixer and add the melted butter, the icing sugar, and the milk with the almond essence. 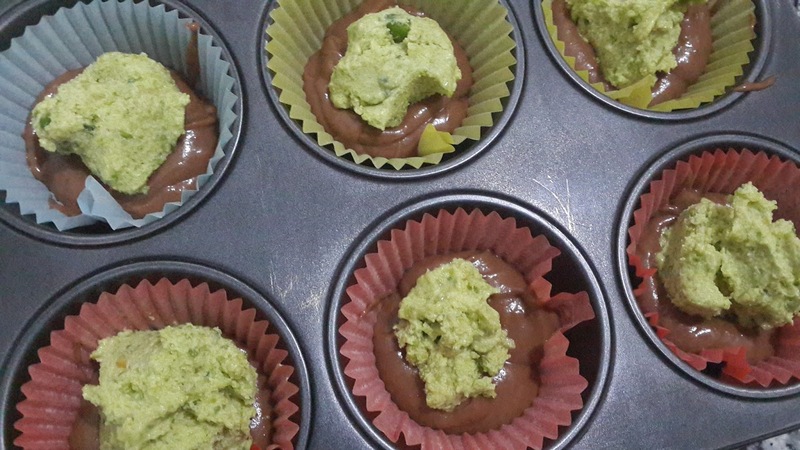 Put the pistachio paste in small ice moulds and put in freezer for at least 3 hours before use. Preheat the oven at 350⁰ C.
Mix the flour with the baking powder and set aside. Soften the butter in the microwave then cream using an electric mixer. Add the sugar to the butter and keep mixing until fluffy. 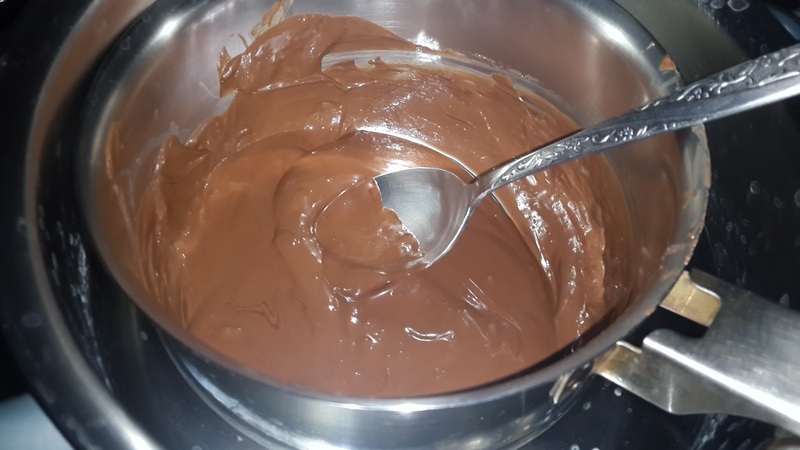 Add the lukewarm chocolate and incorporate into batter with spatula. 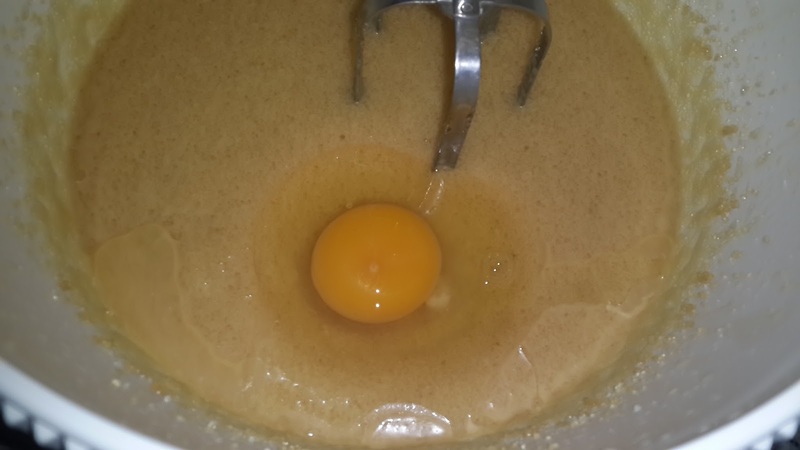 Add the flour and baking powder gradually and mix with the spatula up then down in a circular move. 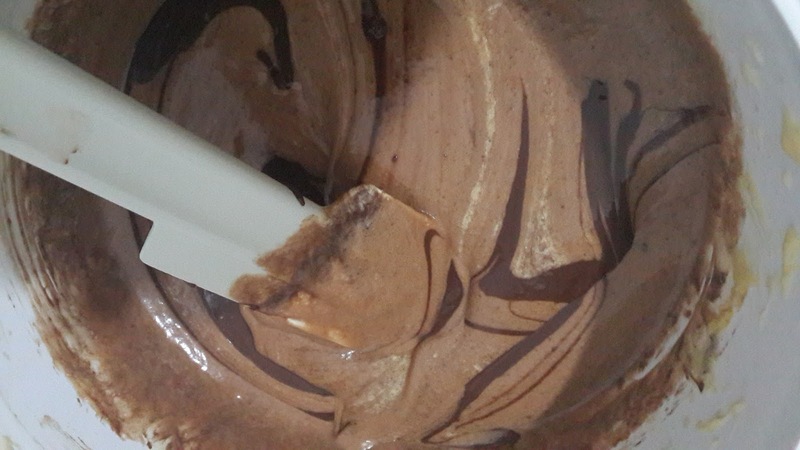 Add the rhum to enhance the taste of chocolate in the cupcake. 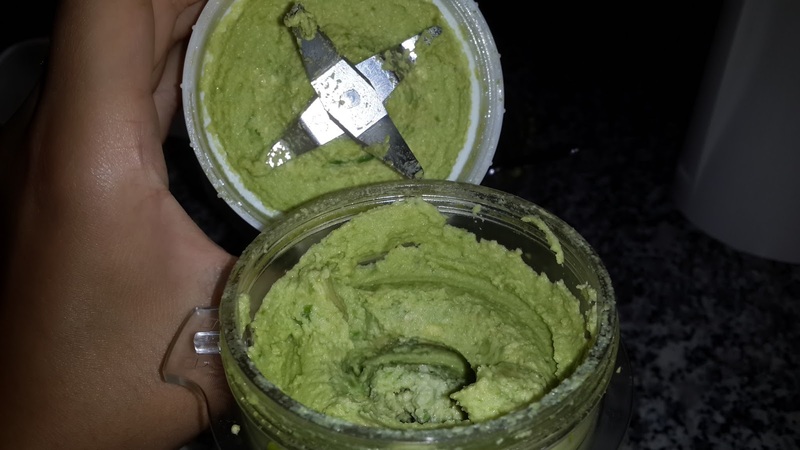 Take out the pistachio paste from the freezer, and make sure they are consistent and hard enough to use. 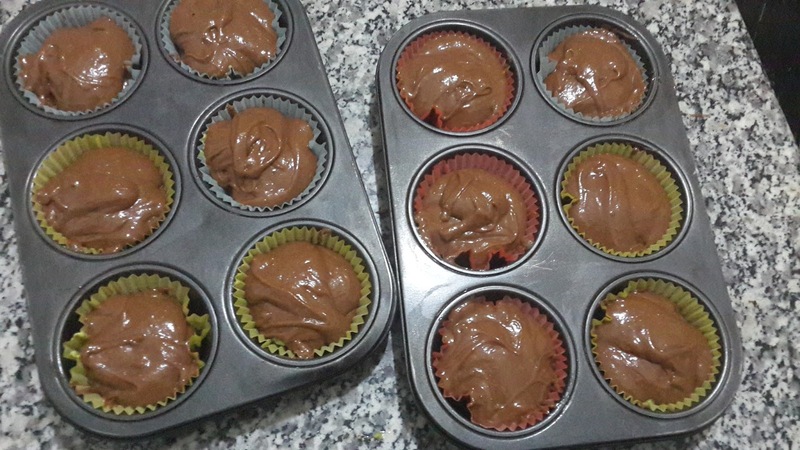 Put the cupcake liners in the mould and fill 1/4 with batter. 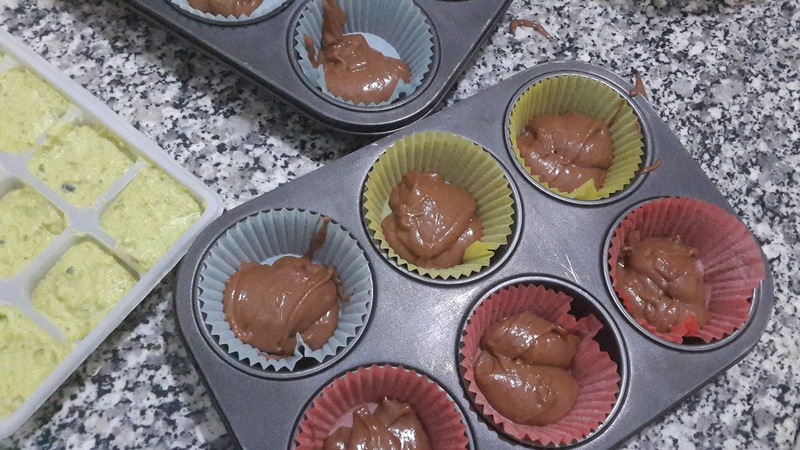 Put one pistachio square in the middle, and cover it with just enough batter to make the pistachio disappear from sight—that means that we have filled more or less ¾ of the cupcake paper. Bake in oven for about 15 minutes while keeping an eye to the cake. Cool in tins for 5-10 minutes, remove from tins, and let cool on a wire rack. Serve hot or lukewarm and refrigerate in an air-tight box.